Wanganui raider She’s Poppy overcame a horror trip in transit to claim her biggest victory on Saturday when she prevailed in the Gr.3 Boehringer Ingelheim 1550 at Awapuni. The lightly raced seven-year-old has raced exclusively in stakes company during her current campaign with a win first-up at Awapuni in the Listed Rangitikei Gold Cup (1550m) followed by a runner-up finish on her home track in the Listed Ag Challenge Stakes (1590m) in June. 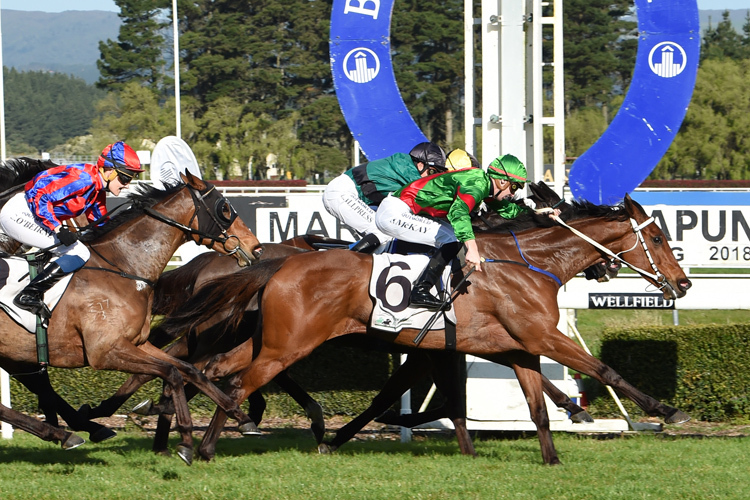 Following a brief let-up, she tackled the Gr.3 Winter Cup (1600m) at Riccarton last month where she produced another game effort when placed second behind Platinum Command. Allowed plenty of time to get over the Riccarton exertions, trainer Raymond Connors had his charge in tip-top condition for her Awapuni assignment where she proved too tough in a driving finish, despite having to sit three-wide throughout the contest. With regular pilot Shaun McKay in the saddle the Alamosa mare called on all her reserves to put her head in front where it counted as she out-finished the well supported pair of Art Deco and Dez who filled the minor placings. “I’ve never ridden a horse with a heart that size, she really tries,” McKay said after the race. “I probably didn’t get the best run but where she was she was travelling nicely. I got the roll when I wanted it and that last 0 she really tried to win. Connors agreed that spacing the mare’s runs was the key to her success. “She’s had a great winter and is a good mare,” he said. “We seem to have worked her out and she definitely races better that way (fresh) with space. A $40,000 purchase from the Venture Thoroughbreds Ltd. draft at the 2013 New Zealand Bloodstock Ready To Run Sale, She's Poppy has now won eight of her 28 career starts and just over $214,000 in prizemoney.